Campaigners from Lower Thames Crossing Association (LTCA) have called on the Department for Transport to declare the recent Lower Thames Crossing consultation null and void, due to “fundamental and irreconcilable differences” between the information provided by Highways England and that provided by government ministers. 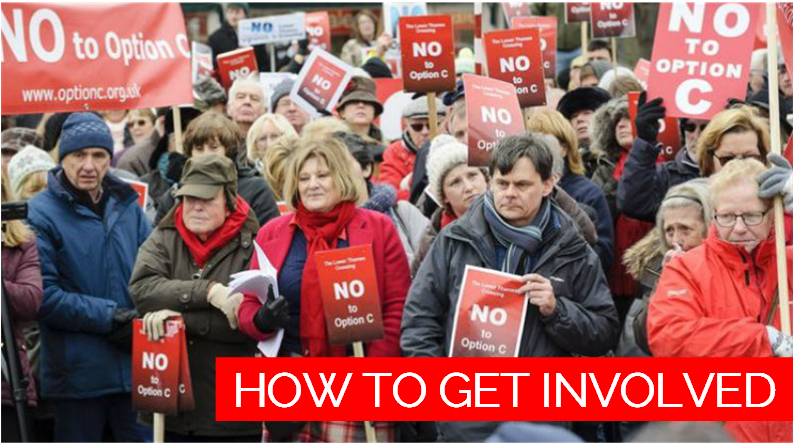 Official instructions issued by Highways England to the consultation teams at public events instructed them to tell members of the public that Option A at Dartford was not being taken forward and was therefore not included in the consultation. However, government ministers later stated that Option A at Dartford was still on the table, and confirmed that it was included in the consultation. In a letter sent to the Department for Transport on 16th August, LTCA points out that this government statement was not made until five weeks into the eight-week consultation period, and this important change was not conveyed to the 1.2 million individuals and organisations who had been invited to respond to the consultation. In any event, it was too late for those individuals who had already responded to the consultation, and it doesn’t change the fact that there were no questions about Location A. Highways England denied the public the opportunity to give their views on Option A, despite government ministers’ statements to the contrary. In a letter to LTCA on 15th August, the Department for Transport stressed that it will be Government Ministers, not Highways England, who will be taking the decision on the preferred location, and that no decision will be taken until later this year.